How Genetically Close Is Your Sibling? Some genetic genealogy blogs suggest that testing sibling DNA is “not much use”. I have found this not to be the case. For example, my sister and I share about 2600cM of DNA (about 70%; see table), about average in the range expected for siblings. 30% of her DNA she has inherited from our parents which I have not can be used to find genetic cousins missed or are otherwise poor matches to my DNA. A whole new avenue of exploration. It is statistical possible two siblings will not match because each could inherited exactly the 50% from each of their parents the other didn’t. Poor sibling matches can occur but are rare. As an example, I am grateful to two 4th cousins in Australia who are siblings. There is no doubt they are siblings from their match to each other. I match each of them on different chromosomes. This immediately identifies two matching DNA segments for the ancestral family signature rather than just one. Genetic genealogy is better the younger you start. If you can afford to do so, you should get all your oldest living relatives tested while you can. Having four sets of DNA from each of your grandparents provides 25% of your ancestral lines. Each will eliminate 75% of your family tree when matching; Any great grandparents too, if you are lucky to have them. Testing for genealogical purposes is become increasingly affordable and often provided as a birthday or Christmas gift. Without parental, grandparental or first cousin DNA, my research has had to be based on long processes of cross-matching, triangulation and elimination. The hardest part is trying to persuade the closest genetic cousins to share their data. It can also be difficult to find other researchers with extensive family trees to support the paper trail. This is where my sister’s atDNA result has helped. Was the Sibling atDNA Test Worth It? Absolutely. As an exercise, I compared the top 50 matches on Ancestry of each of us. Exactly half of her matches were brand new (i.e. not matched to me at all by any degree). These provided links into parts of our tree my DNA alone had failed to lead. I had expect a few, but not so many. The balance of DNA towards a few proven cousins was also very much in my sister’s favour; a 3C1R (third cousin once removed) was 1300 places higher than in my ranking (into my sister’s top 20) and a 5C1R was up 4000 places from my list into her top 30. Within a few weeks of having access to my sister’s data there were several successes in solving some mysteries both for my family and for others, as illustrated by the two cases presented below. A number of familial lines that were almost “genetically invisible” in my DNA are very prominent in hers. This does show that you will miss some very useful information by not using sibling DNA. Ancestry continues to develop their focus on ethnicity. As part of the new-format DNA-matches page recently introduced, there is a “compare” button. This allows you to compare ethnicity more easily with another tester. This does depend on the other tester having “ticked the box” to allow their ethnicity to be made public. 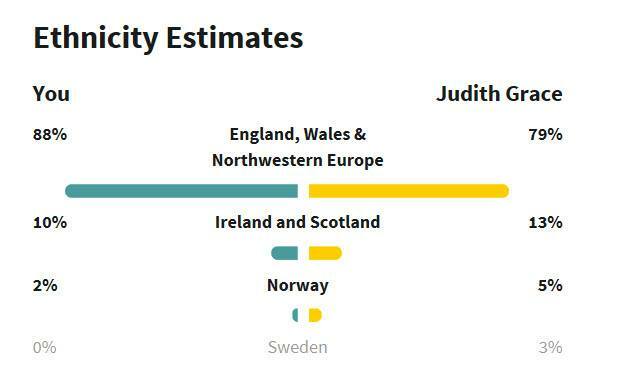 The 30% of my sister’s DNA that is different is interesting as the ethnicity comparison, below, shows. While my ethnicity is more biased towards the English side of our origins she has four times more of our Scandinavian DNA. It will be interesting whether we can eventually identify which branch of our family tree has this “Viking Blood”. When there hasn’t been an obvious Scandinavian immigrant, deeper Viking ancestry in Britain can come from a variety of places that had significant historical Viking influence. This includes ancestry from the eastern side of Britain that was part of the Danelaw (our Yorkshire, Lincolnshire roots), from Scotland and Ireland (our “Scots/Irish” McDONALDs) or even via Huguenots from northern France (Normandy being the land of the men of the North, settled by Vikings), or from Norman settlers themselves. Detailed information regarding living persons has been omitted. A 74 year-old lady and her daughter had been investigating her biological father (deceased). She had been born in 1944 in Scotland as the result of an affair, but was never entirely sure who her father was. Through various investigations the pair had come up with the most likely candidate; a policeman who lived nearby. Then, through Ancestry and my family tree they found that this policeman was the grandson of my 2x great aunt from Birmingham and that she was a DNA-match to my sister. Since the likelihood of a Scottish policeman having such clear genetic links to my family in another part of Britain was slight, it was the proof required for the lady concerned to know who her biological father was, supporting her own enquiries. Without my sister’s DNA this would have not been possible. In the opposite direction, the match provided a new marker segment for the Birmingham family outside of the markers from my own DNA. My 4xGGF Samuel VENESS was a silk dyer, living in Worcester. It was always difficult to reconcile his origins with the greater VENESS families (who were Huguenot immigrants settled around the Battle area of Sussex) since he died prior to a census that would have provided his birth place. My DNA gave no clues except for very recent family who all shared descent from him. 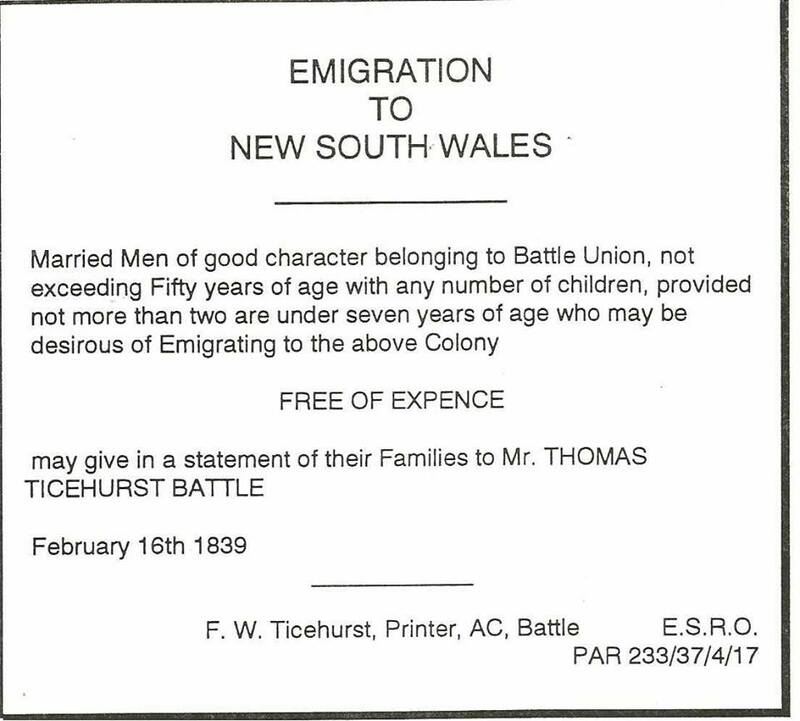 The were stories that the obvious candidate for my Samuel (the 1793 baptised s/o Samuel VENESS and Sarah STONESTREET of Brightling, Sussex) emigrated to Australia. This seemed to rule him out. However deep the investigations, there were no other obvious candidates and no real evidence of this Samuel going to Australia. Without DNA evidence, it became a circular discussion. Many researchers simply assumed this Samuel was the Samuel in Worcester. Again, my sister’s DNA came to the rescue by providing a match to a man in Australia who was descended from a John VENESS of Brightling, Sussex (see image) who was born in 1808, the s/o a Thomas VENESS who was in turn the s/o Samuel VENESS & Sarah STONESTREET, i.e. John was the nephew of Samuel of Brightling. This provided the genetic proof that the two lines were linked and therefore for the first time that Samuel s/o Samuel & Sarah was almost certainly the man who settled in Worcester. 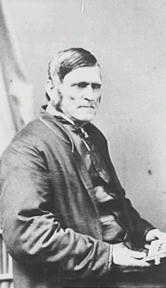 John VENESS was one of many men who answered the “Call to Battle” to resettle in New South Wales. At home, most were agricultural labourers (rather than farmers) and the colonies provided opportunities for these men and their families to be farmers in their own right. A number of this family also emigrated and farmed upstate New York. Following on from a previous post on sharing your genealogical DNA results on GEDmatch, one of the main questions is how far back can this information help my ancestral search? Theoretically, recognisable pieces of atDNA should survive up to 10 generations, i.e. 8x great grandparents. For most people testing today, this can take you back into the 1600’s. In practice, due to longer surviving pieces of DNA (and as long as there is a paper trail in support) I have one set of 8x, three 7x, and several 6x great grandparents so far matched with DNA. The most distant in time is an 8xgreat grandfather born in 1668. This is a great way to know that your paper trail is right and that you can review these parts of your family tree with confidence, knowing that they are truly your ancestors. Guests at Ballynoe House are welcome to discuss how to investigate their family origins. The use of atDNA is becoming an increasingly important part of supporting any paper trail.